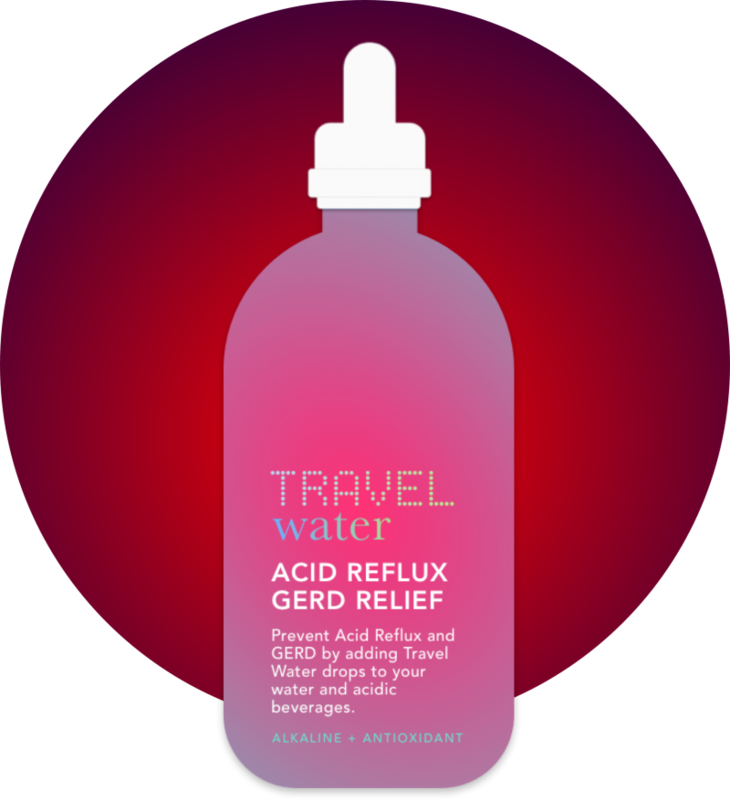 The Acid Reflux 60 day challenge consists of 12 Bottles of Travel Water Acid Reflux Gerd Relief and a digital ORP Meter. 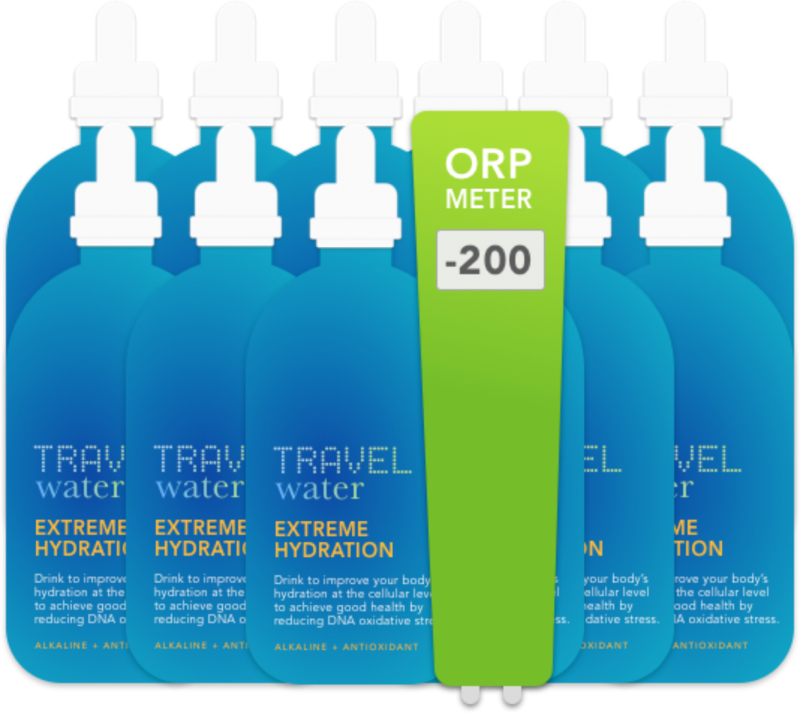 Drink Travel Water for 60 days and monitor your body's increase in Antioxidants and Alkalinity by testing your urine using the ORP Meter. Track your progress on our online tracker journal.travelh2o.com. Travel Water is proven to neutralize acidity at its source. Just adding a few drops to your coffee, wine, juice, as well as the 8 glasses of water you consume, helps prevent Acid Reflux. Travel Water is proven to neutralize acidity at its source. Just adding a few drops to your coffee, wine, juice, as well as the 8 glasses of water you consume, helps prevent Acid Reflux. Below you’ll find a medical study that’s published on PubMed.gov on just how effective Alkaline Water is at preventing Acid Reflux. At the cellular level, tissue-bound pepsin is fundamental to the pathophysiologic mechanism of reflux disease, and although the thresholds for laryngeal damage in laryngopharyngeal reflux and for esophageal damage in gastroesophageal reflux disease differ, both forms of damage are due to pepsin, which requires acid for its activation. In addition, human pepsin remains stable at pH 7.4 and may be reactivated by hydrogen ions from any source. Thus, most tap and bottled waters (typically pH 6.7 to 7.4) would not be expected to affect pepsin stability. The purposes of these in vitro studies were to investigate whether artesian well water containing natural bicarbonate (pH 8.8) might irreversibly denature (inactivate) human pepsin, and to establish its potential acid-buffering capacity. Laboratory studies were performed to determine whether human pepsin was inactivated by pH 8.8 alkaline water. In addition, the buffering capacity of the alkaline water was measured and compared to that of the two most popular commercially available bottled waters. The pH 8.8 alkaline water irreversibly inactivated human pepsin (in vitro), and its hydrochloric acid-buffering capacity far exceeded that of the conventional-pH waters. Unlike conventional drinking water, pH 8.8 alkaline water instantly denatures pepsin, rendering it permanently inactive. In addition, it has good acid-buffering capacity. Thus, the consumption of alkaline water may have therapeutic benefits for patients with reflux disease. 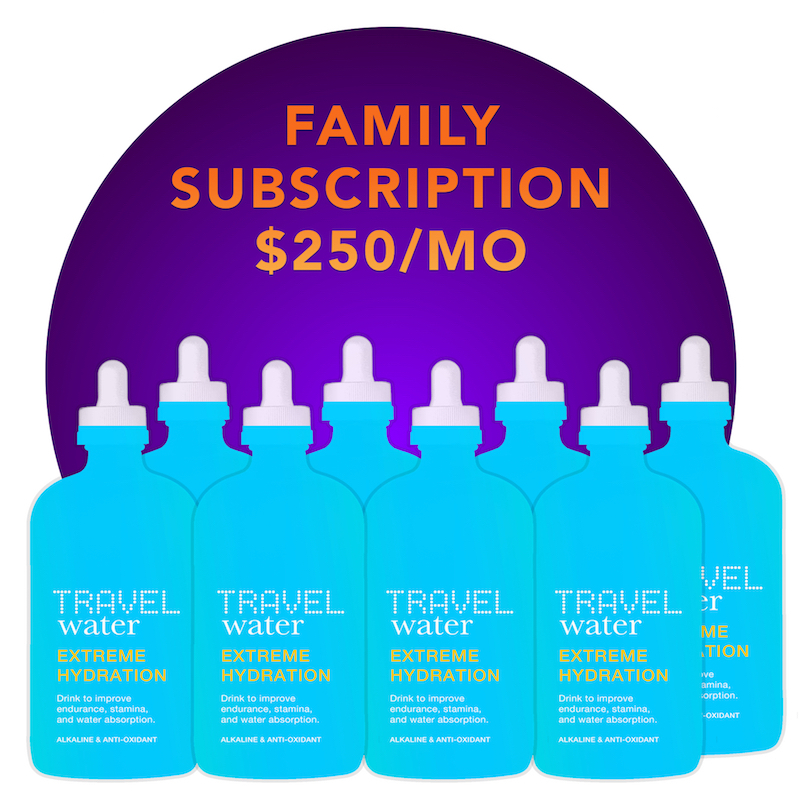 We are so sure that Travel Water Alkaline Drops will help you manage your Acid Reflux that we offer a 100% Money Back Guarantee. Here’s to a new you! 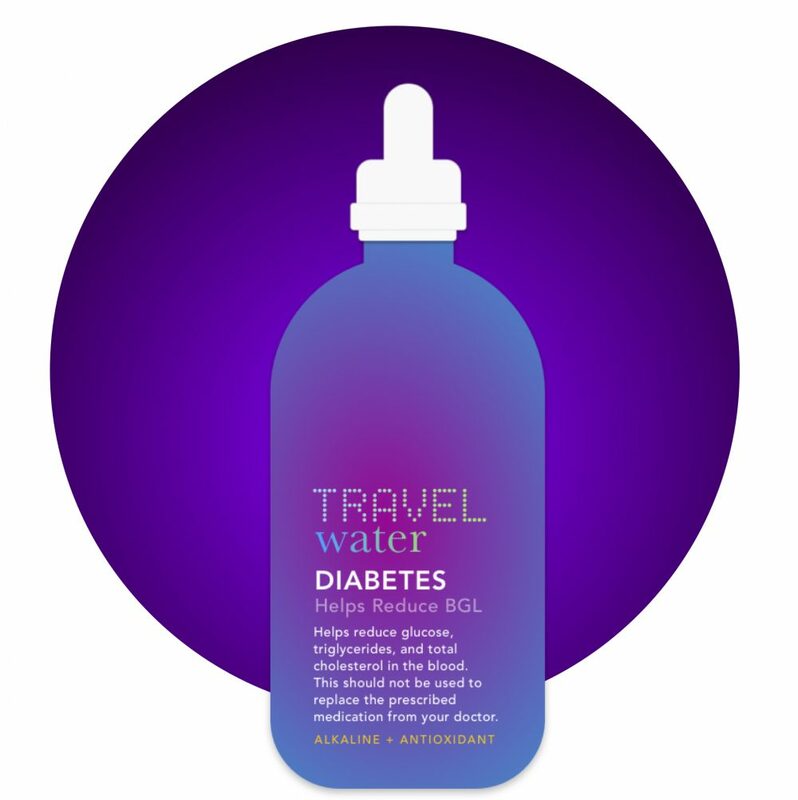 “Travel Water drops have completely lowered symptoms of my acid reflux. For years, I’ve struggled with heart burn and regurgitation, sometimes even vomiting and bloating. My doctor told me I was more prone to acid reflux eating certain foods, but I didn’t want to sacrifice eating what I wanted.